If you have been wanting to make a Christmas tree topiary, Jenny has a free template to create this felt Christmas tree. 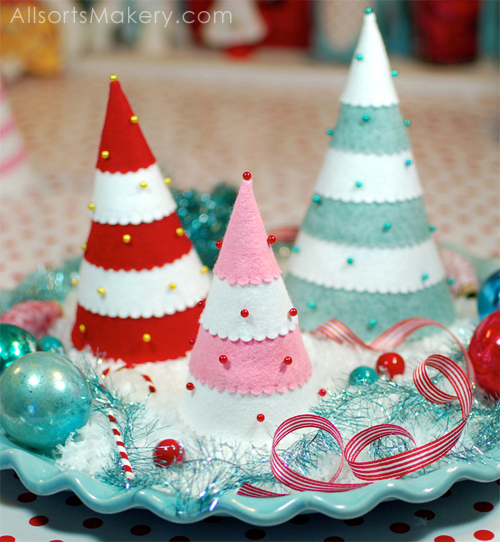 Even if you would rather do fabric or ruffles or some other crafty ingredient the template will still be amazingly helpful in construction your Christmas tree. You can download the free Christmas tree template over at Allsorts. Absolutely adorable! I love the felt, the scallops and the beads...TFS!! !